First advertised (1963) as the COLUMBIA CLASS. The COLUMBIA 5.5 has it's origins with 'Carina', a 5.5 METER designed and built by Sigurd Herburn of Norway, winner of the 1958 Scandinavian Gold Cup. It is said that Columbia used this boat as a plug, (with a few modifications) to build it's own fiberglass version. Though a development class, no fiberglass 5.5 meters had been built at this time. The International 5.5 meter governing body decided that it did not conform to the class rules. 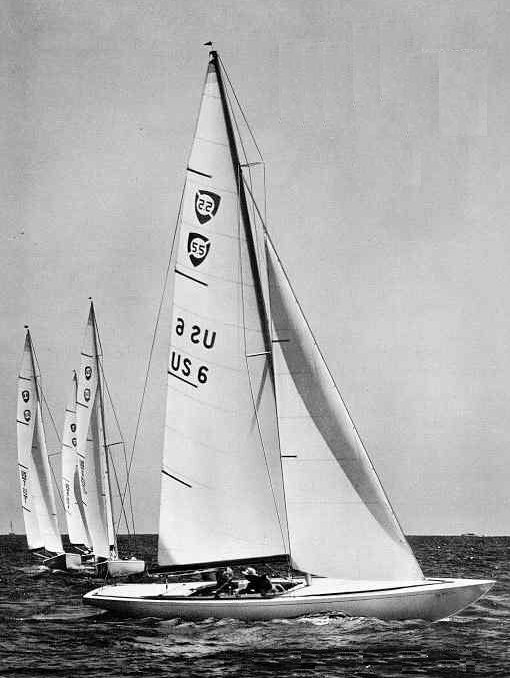 The COLUMBIA 5.5 was raced as a one design class on the west coast US for a few years. Later it was modified and received a new model designation COLUMBIA SABRE, a cruising version with a trunk cabin, bunks for four and other amenities. Between 300 and 400 SABRES were built between 1963 and 1969. A similar version was also built by Ericson Yachts as the SCORPION 32 (almost certainly from the same molds).